Thomas G. O'Connor is Professor in the Department of Psychiatry and is Director of the Wynne Center for Family Research at the University of Rochester Medical Center. 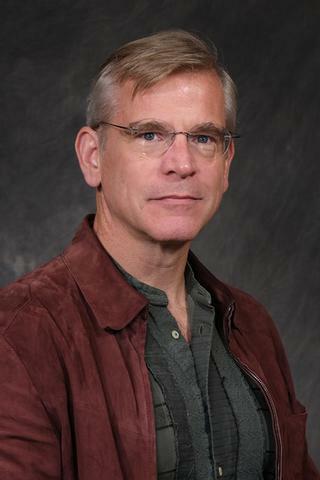 Dr. O'Connor received his PhD in clinical psychology from the University of Virginia in 1995. His research focuses the mechanisms by which early stress exposures, including prenatal maternal anxiety and caregiving stress, may persistently shape children's behavioral and biological health. His work encompasses epidemiological, observational and experimental designs and incorporates behavioral, physiological, genetic, and immunological methods. O'Donnell KJ, Glover V, Holbrook JD, O'Connor TG. "Maternal prenatal anxiety and child brain-derived neurotrophic factor (BDNF) genotype: effects on internalizing symptoms from 4 to 15 years of age." Development and psychopathology.. 2014 Nov 0; 26(4 Pt 2):1255-66. O'Connor TG, Moynihan JA, Wyman PA, Carnahan J, Lofthus G, Quataert SA, Bowman M, Caserta MT. "Depressive symptoms and immune response to meningococcal conjugate vaccine in early adolescence." Development and psychopathology.. 2014 Nov 0; 26(4 Pt 2):1567-76. O'Connor TG. "Updating biological bases of social behavior." Journal of child psychology and psychiatry, and allied disciplines.. 2014 Sep 0; 55(9):957-8. Author List: Moynihan, J.A., Heffner, K.L., Caserta, M.T., and O'Connor, T.G. Chapter Title: Evidence-Based Treatments for Reactive Attachment Disorder and Severe Attachment Disturbances. Author List: O'Connor, T.G., Spagnola, M., & Byrne, J.G. Chapter Title: Prenatal anxiety and child development. Edited By: Tremblay RE, Barr RG, Peters RDeV, Boivin M.